Élisabeth Louise Vigée Le Brun was the daughter of a painter, so naturally her first teacher was her dad. But when she was six years old she was sent to a convent where she remained for five years, and her father died shortly after. Her mom remarried and this time she married rich. They moved close to the Palais Royale, and Vigée was later patronized by a wealthy heiress, Louise Marie Adélaïde de Bourbon. In her early teens she was already painting portraits professionally, but her studio was seized because she didn’t have a license to paint…weird, right? Shortly after, she applied to the Académie de Saint Luc, made it in, and then married another painter. This painter-husband, by the way, was the great-great-nephew of Charles le Brun. Small world! In 1780 Vigée Le Brun and her husband had a daughter, who they called Julie. Then, in 1781, she and her husband ditched the kid and toured Flanders and the Netherlands to learn new art techniques. #Priorities. In 1787 she painted a self portrait that was way scandalous because she was -- get this- - smiling with an open mouth. This was unconventional, thus unacceptable. Vigée Le Brun also was commissioned by Marie Antoinette to paint portraits of the queen in amicable scenarios in order to boost the queen’s PR. In turn, Marie Antoinette was the one who helped Louise get accepted into the Académie. But when the French Revolution hit and the royals were captured, Vigée Le Brun had to flee the country with her daughter. She spent time in Italy, Austria, and Russia. In Russia she did a lot of portraits for the nobility, though there was some tension due to differences in aesthetics. She really made a life for herself in Russia --she got accepted into the Academy of Fine Arts of St. Petersburg and her daughter married a Russian Nobleman (which mama was not happy about). Eventually, thanks to a campaign mostly sustained by her now-ex-husband, she was able to return to France. The moral of the story is? Sometimes it’s chill to stay friends with your ex. 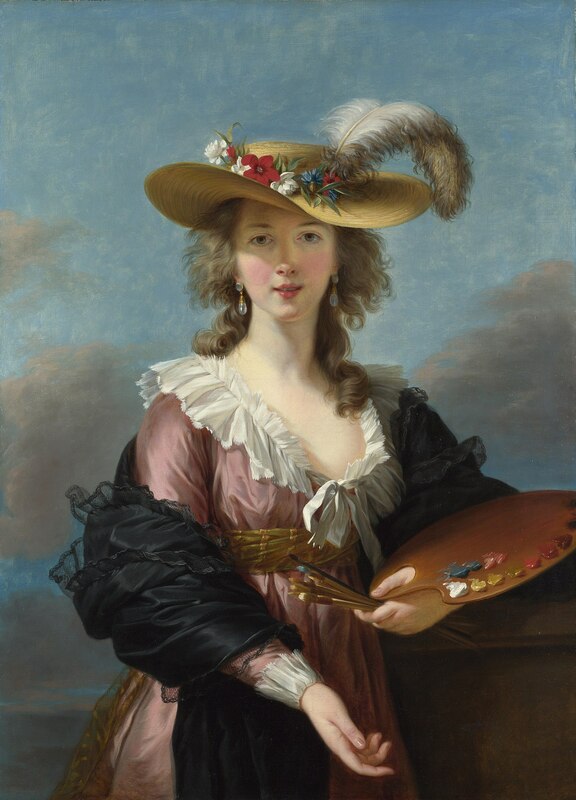 Élisabeth Louise Vigée Le Brun (16 April 1755 – 30 March 1842), also known as Madame Lebrun or Madame Le Brun, was a prominent French portrait painter of the late eighteenth century. Vigée Le Brun created some 660 portraits and 200 landscapes. In addition to many works in private collections, her paintings are owned by major museums, such as the Louvre, Hermitage Museum, National Gallery in London, Metropolitan Museum of Art in New York, and many other collections in continental Europe and the United States. Check out the full Wikipedia article about Élisabeth Vigée Le Brun.